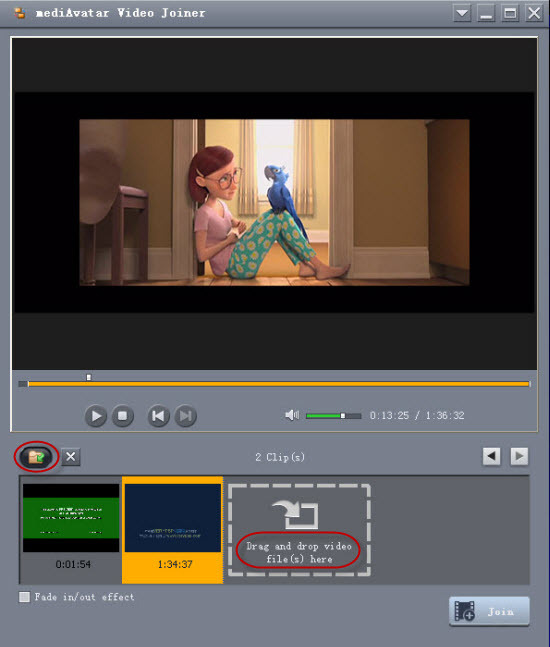 mediAvatar Video Joiner is designed to helps users combine and merge videos in some clips to a long file. 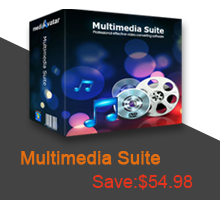 It supports most popular video formats incl. 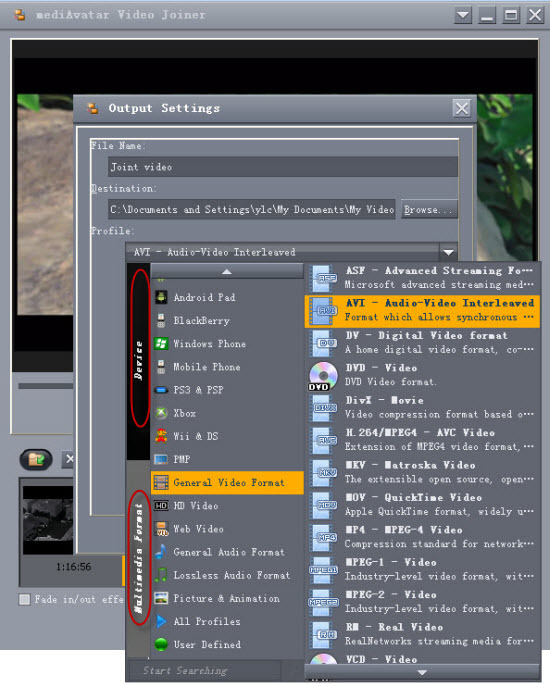 AVI, MPEG, WMV, MP4, FLV, MKV and more. 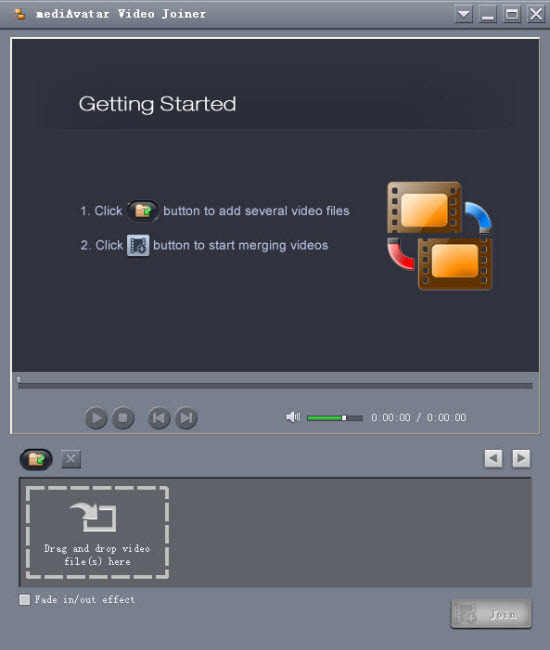 And the video joiner not only joins videos together, it also can convert joined items to other formats. Download, install and launch mediAvatar Video Joiner. After registered, you will see the software screen as below. Drag and drop the files (in the same or different formats) from computer to the file zone, or click on "Add File(s)" button to load the files. And you can check the format list support here. 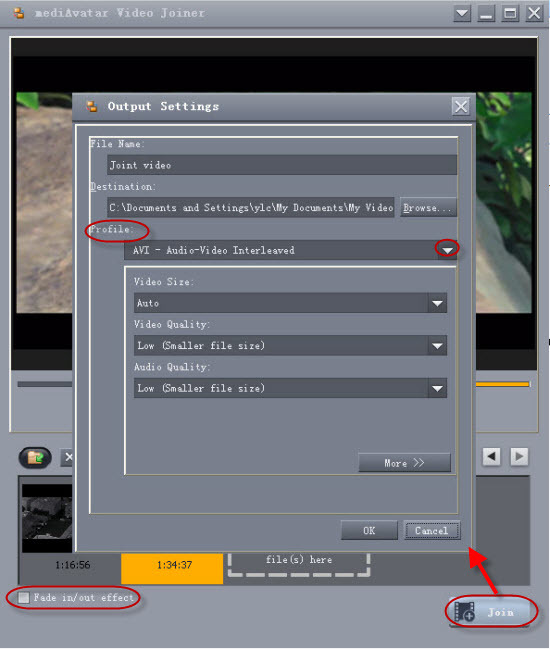 After loading the videos, click the "Join" button and the output settings panel would be opened. Choose the output format from the profile list. And you can see the profiles are divided by "device" and "Multimedia Format", choose the format you need. 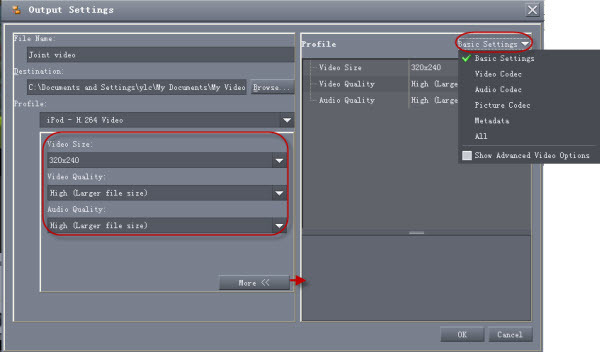 And after choosing the output format, if you need you can adjust the video and audio codec in the profile settings panel. After all settings above, just click "ok" button to start the video joining. In a few minutes, the process will be finished. Very simple to use! And for your information, the evaluation copy of the software only allows you to join videos for 3 times. And if you like mediAvatar video joiner, please purchase and get a license.